Leizhan has signed a contract with the customer from Bengal on June 16, 2014. The paper mill in Bengal has decided to import a 60t/d corrugated paper manufacturing line from Leizhan. The new corrugated paper proccessing line will be installed at the company’s mill in Bengal. The line is designed for producing high quality corrugated sheet. The new corrugated paper line Leizhan supplied will fulfill the customer’s high requiremnets on sustainability. Leizhan’s high-tech paper devices have woned high pize by a large amount of customers and has proven to bring high yield, efficiency and low consumption corrugated paper production as well as high-grade corrugated paper products. 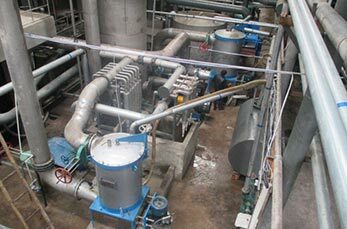 “We have installed the stock preparation and paper machine and commissioned it successfully. It is working very well.” says the customer from Bengal. Leizhan’s scope of supply will contain a whole corrugated processing turn-key featuring paper pulping line and corrugated paper manufacturing equipment. Leizhan also provide designning, installation, trainning, commissioning and start-up sevices for the customer.